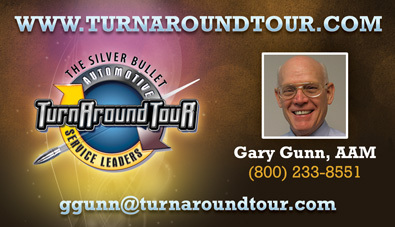 Gary Gunn was a long time employer and later a freelance client who coached independent auto repair shop owners. When I worked with him full time, he had me redesign his website, as well as his brands’ logos. Honor Circle was his premium monthly business coaching program. Here is the story of this consulting logo design. Since this program catered to Gary’s highest paying clients, I set out to convey a high-class feel. As such, the main color needed to be green, the color of money! I chose a thick sans serif font to communicate that this was an exclusive brand. I altered the word “Honor” by stylizing the H, extending the left side stems on both the top and bottom. Then, I made the O’s italic to further make it stand out. They overlap with the C’s in such a way that they are “circling” one another. I italicized the entire word “Circle”. This differentiates it from “Honor” and adds more forward motion to the consulting logo design. A drop shadow makes the white text pop even more. I created the dark to light gradient background by first outlining the text with a thick stroke. I added a subtle light to dark gradient and an inner shadow. These create depth and shine to further enhance the image. Finally, I topped off the design with a golden stroke outline. I solidified the outline and added a gradient shine to it as well. The end result is a mark that attracted the choosiest auto repair shop owners who were committed to investing in their businesses. 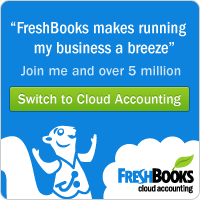 Are you are rolling out a new program for your coaching business? Then you will need a high end logo that represents the quality of your brand! Contact me today and make it happen.